Nicola Kurk is internationally recognised for her expertise in Shadow Work®. She has over 30 years of experience in the field of personal development, 18 of those in Shadow Work® as a Coach, Group Facilitator, Trainer, Mentor and educator. Originally an artist, she brings sensitivity, creativity and intuition to her practice of Shadow Work® and provides the emotional strength and security that makes it possible for clients to confront and heal core emotional wounds. People learn to trust themselves and the healing process itself and are enabled to engage fully in the lives they want to lead. Nicola is known for her passion for life and sense of fun as well as her intuition and perceptiveness. She is in demand as a coach, working one-to-one with individuals and couples or small groups, and also as a group facilitator. She has traveled extensively to lead seminars, retreats and training sessions in the UK, Europe, Russia, Dubai and North America and has also taught facilitation and leadership skills to corporate clients, including PriceWaterhouseCoopers and GE Capital. Highly regarded as a teacher of both the theory and practice of Shadow Work®, Nicola has, in partnership with her husband John, introduced Shadow Work® to many other countries. In particular, they have founded a flourishing community in Russia, where Shadow Work® has achieved officially-recognised status within the Institute of Jungian Psychotherapy. 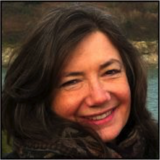 Existing and would-be Shadow Work® practitioners in many countries turn to Nicola for leadership, training and ongoing support and mentoring of their professional work. You can reach Nicola at (+44) 1386 858 947 or by email at nicola@goldenops.co.uk. Her website is www.goldenopportunities.org.uk.